Established in 2016, Lena Lashes have already made a pretty big name for themselves, with 244,000 followers on Instagram and counting, including some of the most well-known beauty influencers; it seems like this brand is undoubtedly on a one-stop rise to success! If you are all about the fun and variety of a false lash, then read on to find out where you can get your hands on a pair, or two! The Lena Lashes products are predominantly sold online, with their website offering exclusive accounts to make it easier than ever to pick up a restock of your favorite pairs! Although Lena Lashes doesn’t have a store which you can physically go into, these falsies are supplied in the much-loved Sephora, so at least you know you’re getting a reliable and quality product! Who Is Behind Lena Lashes? It’s important to mention from the getgo that the creator behind Lena Lashes is not made public knowledge on their website. However, it is made apparent immediately that those behind the brand are super passionate about three things, quality, fun, and LASHES! This New Orleans Company is all about ‘redefining the way customers think of a false pair of eyelashes’, in other words, they want to do away with the scarce, low-quality lashes that are readily available on the high street and instead offer a high-end, exclusive and varied alternative. Hand-designed and lovingly crafted, we love the packaging of Lena Lashes, and the thought and care are obvious immediately. 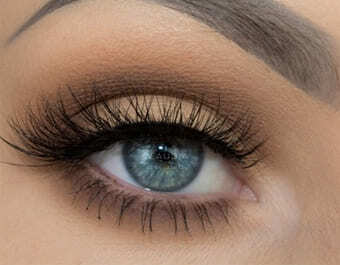 Whether you are opting for mink or synthetic, Lena eyelashes are all full-bodied, comfortable and on-point trend-wise. As we have touched on already, Lena Lashes offers both synthetic and mink lashes both individually and in collections so that you can tailor it to the look you are going for more easily. All about femininity, the Lena ranges are all named after strong women, and we love this girl-powered approach! With each lash being designed on a hand-made cotton band, you can be comfortable and benefit from multi-use wear with each set. For those of you who want to opt for a more au naturel look, there is a range of bestselling styles in their natural range, particularly the Bisera and Elle which are personal favorites! The dramatic range is ideal for parties, the festive season or just when you feel like going all-out with a bold eye look! We love the Bella and Cynthia lashes for long, striking strands that make a statement! Wonderfully long and wispy, these flutter lashes are every girl’s dream. Offering a sultry look perfect for a romantic date night with someone special! The Ciara is particularly glamorous offering extra-long lashes. Lovely thick strands of lashes ranging from thick to thin, these are perfect for opening up the eye and look particularly great on smaller, almond-shaped eyes. The Posh and Kendall are perfect options and create a charming finish to the eye. The ultimate in the dramatic eye, these lashes are thick, full, long and bold in every way. The perfect night out lash, we love the Olivia and the Dolapo for a, particularly full-on look! Along with individual pairs of lashes, this brand also offers collections in both mink and synthetic offering the ideal lash options to fit a range of occasions! Is it the big day or a cabaret night? Lena Lashes has a collection for it! Worth checking out if you are new to the lash world and need a little guidance. We love the offerings from Lena Lashes, they have got quality, style, and variety down brilliantly! One huge downside would be that they don’t have a massive cruelty-free approach, which is an essential factor in today’s climate. However, they do offer synthetic options, along with the disclaimer of no animals being hurt in the process. Regarding availability, we would have to say that Lena Lashes is pretty exclusive, in that we have only seen availability on their website, and Sephora – so those who don’t like to shop online may struggle here! There is room for improvement in parts, but overall this is a stand-up brand, and we can’t wait to see their collection grow! How Do We Rate Lena Lashes? Considering all the points we have touched upon, and having seen the high quality of their products, it is a no-brainer that Lena Lashes has done pretty well in our rankings! Lena Lashes has a strong social media presence, with over 200,000 followers on just Instagram alone, and counting. They do hold fair reputability amongst their customers, but they are not talked about much throughout the beauty industry, unlike some eyelash companies. For this reason, we awarded them a fair company reputability score, but still not the best one. You do get what you pay for here, and although they have a premium price tag, they also offer a premium product. With their synthetic lashes coming in around $25 and their mink range around $28 – these are a pretty decent deal, especially when compared with companies like Esqido and Velour that are a bit pricier. The quality of the Lena Lashes is pretty high when taken care of every pair of their lashes can be worn again, giving you extra value for money. The cotton thread band is a great luxury touch and adds both style and comfort to the mix. Lena Lashes is all about that extra-special aesthetic, so looks are pretty huge for them! Their hand designed packaging and luxury lashes are superb. There are dozens of lashes on the Lena Lashes website, with everything from barely there too in your face – so we can only commend the brand for catering to every preference. As we mentioned, these lashes are designed to be worn more than once, however, this does depend on the person. Particular skin types may mean lashes don’t last quite as long for instance. If taken care of these should be worn at least twice, but potentially more! When it comes to the bottom line, we love Lena Lashes! They certainly cater to the masses, without sacrificing quality, which is a huge plus point for us. We would love to see them taking a more ethical approach to the lashes industry, but there is undoubtedly huge promise for the guys or gals at Lena Lashes. There’s a lot of talk around about the Bella lash and I’d personally say that this is one of the best lashes created by Lena Lashes. It is just extremely versatile for a more dramatic lash style, and somehow this adds to its overall charm. Reading a bit about Bella in this article convinced me, even more, to give that lash a try. Recently checked out their new KoKo collection and bought it for myself. Really happy with the lashes it features. They’re all pretty intense but for ladies that like to make a statement with their falsies, well this is without a doubt the set for you. Really nice products but I feel like their site is a bit overwhelming! There are just so many choices and they sell more than just lashes, I have a challenging time navigating it and deciding on what to purchase. For those who want a ton of variety though, this would be the right company for you. Nevertheless, I am pleased with their eyelashes. I had a nice time reading this review it is quite interesting and gave me some good pointers and tips on what to look for with lena lashes. ended up purchasing some natural lashes caled bisera. thanks for the tips. I’ve tried quite a few styles from Lena Lashes out and I am definitely set on Eva in particular. It has a lovely shape which just seems to fit my eyes perfectly, it is hard to even describe or put into words but I highly recommend Eva and often tell my friends about this pair.